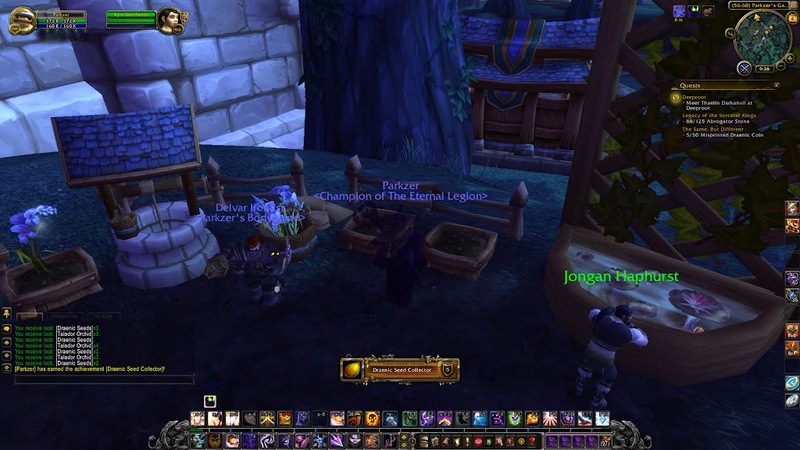 I’m back with another week’s worth of World of Warcraft adventures, this time starting out with earning the Draenic Seed Collector achievement. I had been keeping tabs on that achievement for a while now, because I wanted to upgrade my herb garden and get the fruit tree for free food buffs. After earning the achievement, I went ahead and did that. Unfortunately, it seems like you can’t control which food buff you get – it randomly changes day-by-day. 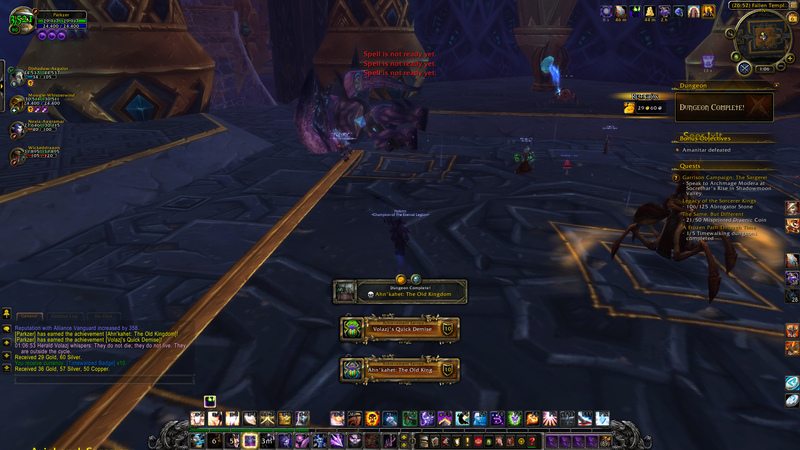 My next big accomplishment is earning the Loremaster of Draenor achievement. I finally managed to go through the storyline of all the different regions. This is a requirement for unlocking flying in Draenor, so I’m one step closer to not having to navigate through impossible terrain to get where I want to go. This week’s special event is timewalking dungeons. Apparently, I deal no damage when I’m scaled down to Level 80, but fortunately, other people still do damage and carry me through the dungeon. I’m guessing that the overpowered people with item levels over 730 are queueing up for timewalking dungeons to finish the weekly quest – the OP people who I never see normally in heroic dungeon queues. And finally, I managed to collect enough Abrogator Stones to progress in the legendary quest storyline. 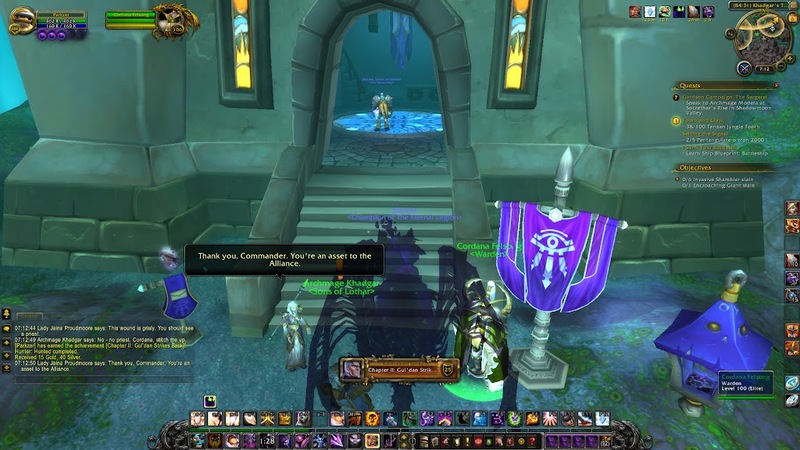 I realize that I’m very far behind, because I didn’t play World of Warcraft right when Warlords of Draenor came out, and I didn’t make progress through the legendary quest as it was released. I thought that the hard, long, tedious part was over, and I would be able to rush through the future legendary quests. Unfortunately, that doesn’t seem like it will be the case, because there is another quest that is basically the exact same as the Abrogator Stone quest, but with a different item and a different raid.